Fish Oil for Heart Health: Helpful or Hype? 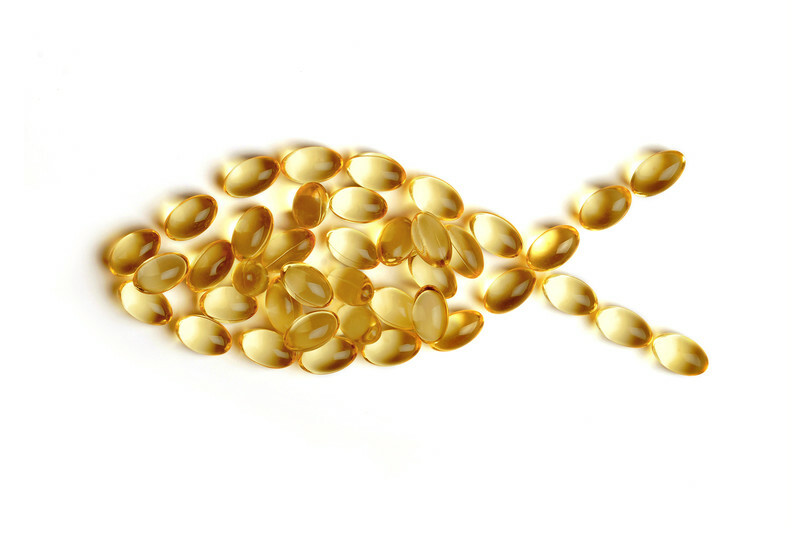 Fish oil is one of the world’s most popular — and controversial — supplements. About 20 million Americans take it daily, hoping to reduce their risk for cardiovascular disease (CVD), the leading killer of Americans, often from heart attacks or strokes. However, decades of scientific research have yielded conflicting findings about the efficacy of the little capsules of omega-3 fatty acids from marine sources such as sardines, anchovies, mackerel or krill. Two new Harvard studies have added to the confusion. You may have seen news headlines like, “Fish oil slashes heart risk,” “No health benefits in fish oil,” “Fish oil may lower heart attack and stroke risk” and “Rival studies: Fish oil is good for your heart — or maybe not.” So who is right? Here is a closer look at the two studies, key BaleDoneen takeaways and the facts you need to protect your arterial wellness. How were these studies done and how credible are they? Both studies were randomized clinical trials (RCTs) — the gold standard of scientific research — in which participants were randomly assigned to either take fish oil or a placebo. Separate teams of Harvard researchers conducted the two studies, both of which were published in New England Journal of Medicine. In the VITAL study, Dr. JoAnn Manson and other Harvard researchers studied 25,871 people, including 5,106 African-Americans. Participants were tracked for a median of 5.3 years to compare the rates of cardiovascular events (such as heart attacks, strokes and deaths from CV causes) in those who took fish oil, fish oil plus vitamin D, vitamin D and a placebo or two placebos. The goal was to evaluate how effective fish oil was for prevention of CVD in initially healthy men ages 50 and older and women ages 55 and older. In the REDUCE-IT study, Dr. Deepak Bhatt and a different team of Harvard scientists studied 8,179 patients. About 70% of them were 45 or older with established CVD, and the rest were 50 or older with diabetes and at least one major CVD risk factor. All participants were taking statins to lower their cholesterol and had elevated levels of another blood fat called triglycerides. The goal was to evaluate the effects of a fish oil-derived medication versus a placebo on this high-risk group by tracking their rates of CV events for about 5 years. Did one of these studies find that fish oil was ineffective? Some of the media coverage of the VITAL study misrepresented its findings. Although the researchers concluded that there was no significant benefit of fish oil for its composite endpoint (a combination of the various CV events studied, including stroke), those who took 1 gram (2000 i.u.) of fish oil daily had a significant 17% reduction in a composite of coronary artery risks. No reduction was found in risk for stroke. The most dramatic finding was a 28% reduction in heart attack risk over a five-year period as compared with the placebo group. In people with low dietary intake of fish, heart attack risk was reduced by 40% and risk for all major cardiovascular events fell by 19%. The study also found particular benefits of fish oil for African-American participants, who had a 77% decrease in their heart attack risk. “If that can be confirmed in a follow-up study, then it could point to a very promising approach to reducing a health disparity,” Manson told Healthday. African-Americans have a higher risk for CVD than Caucasians and other racial groups. “A reduction in heart attacks this profound has not seen been since in primary prevention since the early trials of aspirin therapy,” commented Dr. Satjit Bhusri, a cardiologist at Lenox Hill Hospital in New York City who was not involved with the study. “This is a very important and impressive trial. Its results will have a lasting change in the prevention of heart disease,” he told Healthday. What did the other study find? In the REDUCE-IT study, half of the participants took a prescription supplement containing a highly purified form of EPA (one of the omega-3 fatty acids found in fish oil), at a dose of 2 grams. Compared to the placebo group, those who took the EPA supplement, known as icosapent ethyl, had an overall 25% risk reduction for CV events. These patients were also less likely to have a heart attack or stroke, be hospitalized for chest pain or require heart procedures, such as angioplasty, stents, or bypass surgery. The study also reported a 24% drop in risk for death from CV causes, nonfatal heart attacks and nonfatal strokes in the group that got the drug. “We are reporting a remarkable degree of risk reduction,” stated Dr. Bhatt, who led the study. The supplement, sold under the brand name Vascepa, is FDA-approved as a treatment for high triglycerides. What was particularly impressive about these findings is that all of the patients were already taking a statin yet received additional protection against CV events. Why are omega-3 fatty acids good for the heart? The American Heart Association reports that people whose diet is high in omega-3 fatty acids have a lower risk for CVD and dangerous heart rhythms that can lead to sudden death. Omega-3 fatty acids have also been shown to reduce triglycerides, blood pressure and growth of arterial plaque in people who have CVD. In addition, omega-3 fatty acids also have anti-inflammatory effects, which may help keep plaque from forming in the first place. What are the BaleDoneen Method takeaways about fish oil and heart health? In general, it’s best to get the nutrients you need for optimal heart health through a healthy diet. A large body of research suggests that people who eat fish several times a week, particularly fatty fish, have a lower risk for CVD than those who eat little or no fish. Fish that are high in omega-3 fatty acids include salmon, lake trout, mackerel, tuna, herring and sardines. However, many people do not get enough heart-protective omega-3 fatty acids from their diet because they eat little or no fish. Taking fish oil supplements may be a good option for this group, as well as African-Americans (based on the study findings), but it’s important to talk to your medical provider before taking any supplement to make sure it’s appropriate for you. The BaleDoneen Method recommends a diet based on your DNA. We use a simple saliva test to analyze your Apolipoprotein E (Apo E) genotype, which influences both your lifetime risk for heart disease and the best diet to avoid it. While most people can benefit from the Mediterranean diet often advised to protect heart health, about 25% of the population has the ApoE 3/4 or ApoE 4/4 genotypes, which are linked to the highest risk for CVD. People with these genotypes should eat a very low-fat diet (less than 20% fat). That can include moderate amounts of fatty fish (no more than four ounces daily). If you haven’t had your ApoE genotype checked, talk to your medical provider about this testing and the best eating plan to keep your arteries healthy. Also check out the BaleDoneen book, Beat the Heart Attack Gene, to learn more about our genetically guided approach to heart attack and stroke prevention, which has been shown in two recent peer-reviewed studies to effectively detect, prevent or reverse arterial disease.